After the danger of frost has passed, struck on the garden armed on your toughest garments and sharpened pruners to your yearly job of cutting back the roses. While gardeners may share different insights on the craft of rose pruning, 1 thing is sure: Even though roses’ winter dormancy stays, it’s time to prune, ensuring a prolific bloom and wholesome plants in summer and spring. 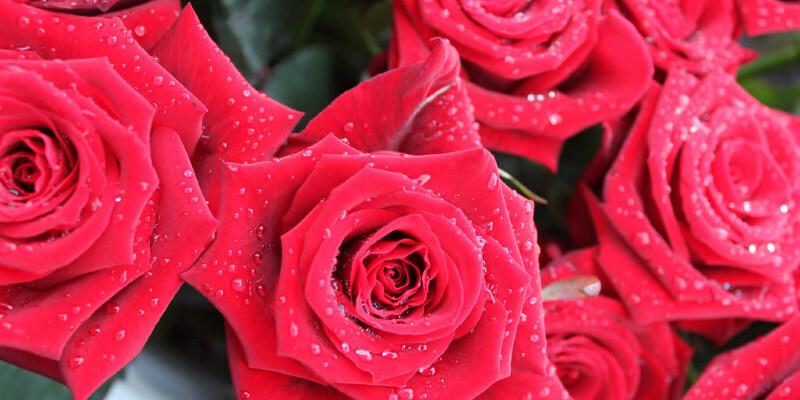 Cynthia Chuang, president of the Santa Clara County Rose Society at California and an ardent rosarian since 1994, believes this routine crucial to the health of her award-winning roses. The majority of her January days are spent outdoors, pruning and pruning her 200 roses. And each May the area and she love the bounty. Why prune? Pruning is regenerative. It stimulates new growth and will enhance and start up the form and form of the plants, Chuang says. Additionally, it eliminates dying or diseased portions that can damage the overall health of a backyard. Roses are sturdy and pliable, and will be fitter plants because of it. As you may not prune absolutely every time, it’s always preferable to prune than not to prune. When to prune. Prune roses throughout their dormancy, before they ship out new growth. In moderate climates, this means mid-December through February. In more extreme climates, wait until the final danger of frost has passed. Otherwise you run the risk of damaging canes. Tools and equipment. Chuang spends roughly 20 minutes pruning every tree. Be sure that you’re comfortable and well equipped. You want to enjoy the time you spend outside in preparation for spring. High-quality rose pruners (sharpen often; Chuang applies WD-40 weekly)Loppers (for larger-diameter canes)Pruning saw (for older canes and canes too large for loppers)Scissors (for detail work)Heavy-duty glovesEye protectionA long-sleeve shirt and pants made of a sturdy materialKnee pads or bench (discretionary)Pruner holster (optional)Hint: Sanitize instruments with rubbing alcohol after contact with diseased plants. Here Chuang has pruned 1/4 inch over a thick, healthy and outward-growing cane. The cut is vented in the path of expansion and will encourage an open, rounded plant. Create the cut. Rosarians may disagree on how much to prune, when to prune and what to prune, but they agree that the cut itself is important in promoting improved wellbeing. Chuang’s husband, Chi Ning Liu, dismisses a woody, fundamental cane during its origin. This enables younger, healthier canes to flourish and opens up the middle of this rosebush, promoting circulation and airflow. While expert demonstrations, extensive reading and preparation are helpful preparation for pruning, nothing educates you enjoy hands-on experience. You may prune too much or too small, but roses are resilient, and they’ll grow back. Leave healthy, important canes. First, cut off dead or dying canes to their source. Get in there with the saw if necessary, says Chuang. The sure sign of a wholesome cane is a rich green bark and a strong white core. Older rosebushes can get woody, so pick and choose the canes that you would love to maintain. The American Rose Society proposes leaving four or five big canes for hybrid teas and grandifloras; more for floribunas. Cut off dying canes, even though healthy canes shoot off them. That you want to ensure a healthy rose plant, over all. Then you want to think about shape. Chuang says she will cut canes smaller than the diameter of her pinkie finger. New growth will be thinner than its source, so thin stems will produce even thinner, weaker stalks, not able to support the weight of this rose. Hint: If you cut healthy canes off, put the stem in the ground and stake it. The stem can sprout roots and form a secondary plant. Remove suckers. Lots of roses are grafted onto a root stem of another rose type. Under the joint (bud marriage) is the root stalk, and over is the rose variety you’re growing. Every once in a while you will find a vigorous straggler growing right from the root stalk — those are suckers. Suckers have different leaves and a different form compared to the bush and need to get yanked in the base as soon as possible. The rose bush will waste precious energy onto the undesirable sucker. Hint: When pruning, keep an eye out for Y-branches. Chuang uses these as spacers between stalks that are near crossing as a guide for receptive expansion (see next photograph). Maintain an open form. Whilst pruning, think about the final form of your rosebush within an upright, open hand or vase. You need canes to radiate up and out of the middle, ensuring airflow and circulation, and preventing mildew and disease. Canes that cross the middle of the plant or cross a second, healthy cane ought to be pruned. Thin out parts of the plant that have become overly dense, all of the while recalling the pinkie rule as well as the outward-facing rule. This is your chance to guide the form of your plant. If a lot of stems arise in the same portion of the cane (Chuang states three or even longer), or when you see too many pops and previous cuts in the cane, cut them back again. Avoid having a lot of this rosebush in the colour — even its colour. Ideally, plant rose bushes 3 to 4 feet apart. Think about sunlight pattern when trimming; if you need to decide between keeping among two canes, cut on the one that will spend more time at the colour. Cut one off or one-fourth off the surface. While there is not a steadfast rule, Chuang states she aims to cut off a third to a fourth of a bush general height when trimming. She says that she often sees roses cut too short, which may inhibit the bush’s capacity to regenerate or regenerate, since a lot of its energy was removed. Alternately, if you prune too small, the plant won’t rejuvenate, and you’ll get a spreading, unkempt plant that won’t produce also. Strip leaves once you prune. Some rosarians strip renders before pruning, but Chuang says leaving them till after pruning makes it easier to identify the path of expansion when making your cuts. Removing leaves eliminates pests or diseases that may be growing on the plant. If you notice mould or rust after in the year, simply strip the leaves to avoid spreading. Clean up. Remove all fallen leaves and surrounding plant debris. Rose debris is typically not composted, as it does not break down quickly, and residual disease and fungus can still live on the leaves. Discard the debris. Spray. Chuang says two sprays after pruning are crucial to a wholesome plant over winter and into spring. Spray the canes greatly all of the way to the floor and even the surrounding ground. Spray in the top down and let the spray blanket the tree. Alfalfa pellets3/4 cup slow-release fertilizer4 to five cups chicken manureWater well after fertilizing. The first blossoms emerge in Chuang’s backyard in mid-April, with the huge show coming in mid-May. If you are still lightly prune through the year, Chuang states, you can expect up to five repeat blossoms per rose a year, depending on variety.